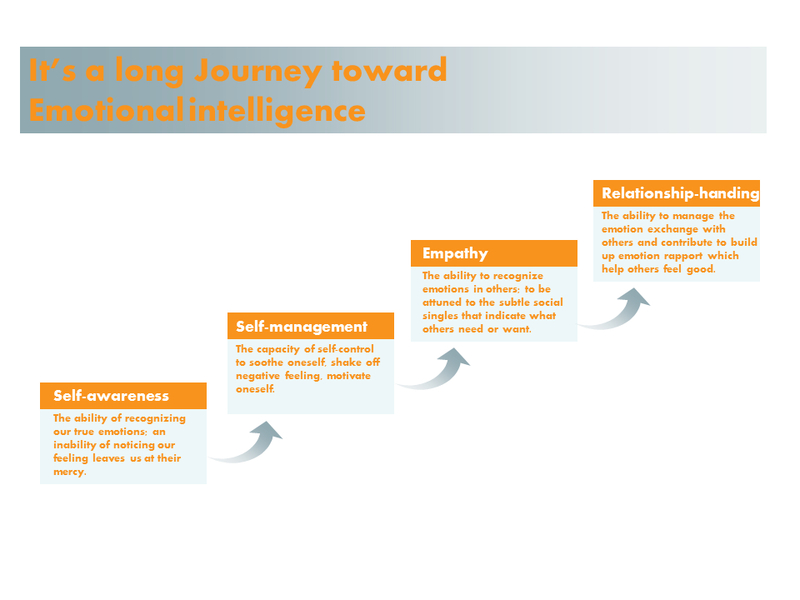 This reading note is about Emotional Intelligence; which I planned to post one month ago. All emotions are, in essence, impulses to act, the instant plants for handing life that evolution has instilled in us. For example, simply speaking, anger prepares our body to fight, fear prepares our body to flight and happiness offers our body a general rest. 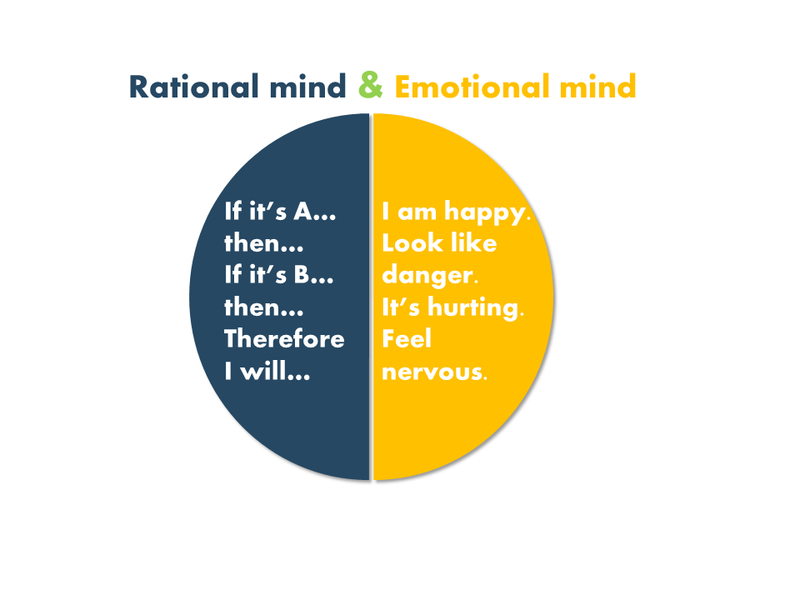 We have two minds, rational mind and emotional mind, one that thinks and one that feels. “The fact that the thinking brain grew from the emotional brain reveals much about the relationship of thought to feeling; there was an emotional brain long before there was a rational one”. We can find our ancient root of emotion in primates. But we think in language; language is unique for human and origins of language are closely tied to the origins of modern human behavior. The working model of mind is very much similar to transmit electrical signal in circuitries. What is more important, we have different circuitries for rational mind and emotional mind. “You don’t need to know exactly what something is to know that it may be dangerous”. Circuitries of the emotional mind can be far quicker than the rational mind, springing into action without pausing even a moment to consider what it’s doing. For example, in brain’s architecture, one part (the amygdala) retains the emotional flavors that go with the facts while dry facts are remembered in other part of the brain. 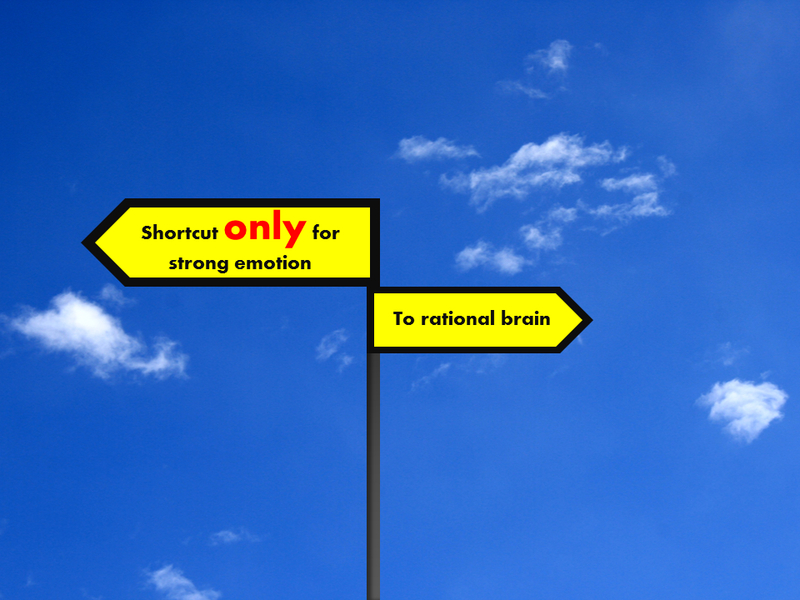 Flood of emotion can get shorter path to reaction and even they can take all the working memory of brain – the emotion manager, prefrontal cortex. When we are emotionally upset, we just can’t think straight. 4 What if we only have the dry fact and pure logic? “Lacking emotional weight, encounters lose their hold”. In this sense, emotional intelligence means hominization of emotional mind and rational mind. There is no single agreed definition toward emotional intelligence. Below 4 domains are what I read from the book and what I think are important. It’s also a journey from step 1 to step 4 with one step built on the previous ones. 6 So how to reach there? I did not think the book has given us very clear step-by-step guidance or practical training memo. Part of the emotional intelligence score we got is determined by our gene; and majority of the remaining part, according to the book, is from family day-to-day life when we are young where emotions are both the medium and the message for kids to learn unconsciously and consciously. It sounds very disappointing when I read it at 30. However, the book still sheds some light on the journey to emotional intelligence; DNA and family is not destine. Letting off the steam or purely venting is not a good solution to get rid of anger; the best one is to distract, simply to focus on other things like sports for the time-being and let yourself calm down before you come back to the spot. To blindly suppress the feeling by being nice is like hurting yourself, a better approach is to 1) express your feeling properly; 2) and try to avoid any negative disturbance to others. For example, “you did A, which made me feel B and I rather you do C”. 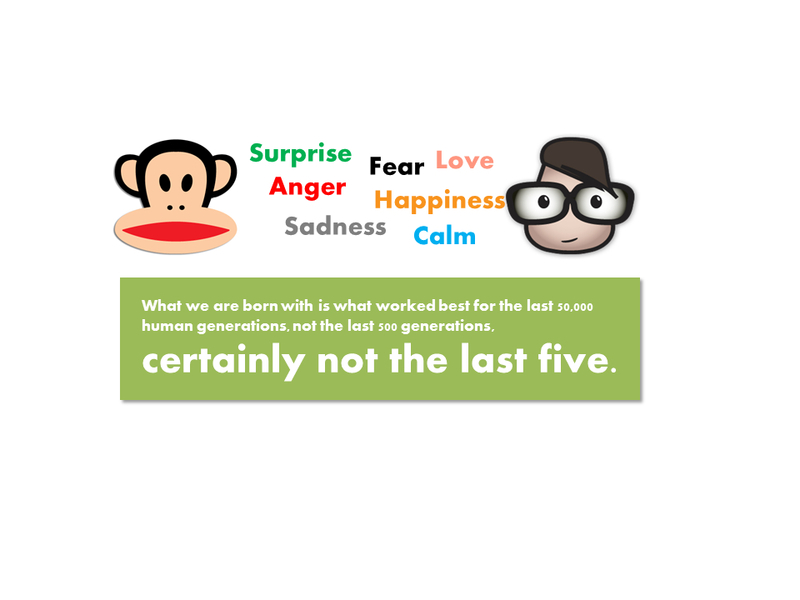 Worries will occupy the working memory of our brain and leads to underperformance. Emotion environment or relationship comes first, for family, friends and even colleagues. Emotional rapport stems from attunement, from the capacity for empathy – the enjoyment of being understood and the ability to understand others. Another story is that the easiest way to screw up everything is just to trample on other’s emotions. Generally, females and males are structured differently and educated differently toward emotion. And emotions are more intense for females. Connection rather than the solution toward any issue is more important for wives when they are complaining; however, husbands stands at the opposite sides. 1) The scope of emotion is sort of too large; according the book’s argument, anything other than logic thinking is territory of emotion. Another part of the story is that it’s hard to have global agreement toward definition of emotion. 2) The book keeps sending the message that people with high emotional intelligence tends to be outgoing which I do not agree. Previous Will the inmates be still running some asylum?